Have you ever looked at a photograph and wondered "where on earth was that taken ?". Well with the GTrek II you can not only see when the picture was taken but where you were when it was taken. Upload that image to Flickr and share with friends and family. The process is automatic and only requires you to process the data. Geotag as many pictures from as many places as you like. 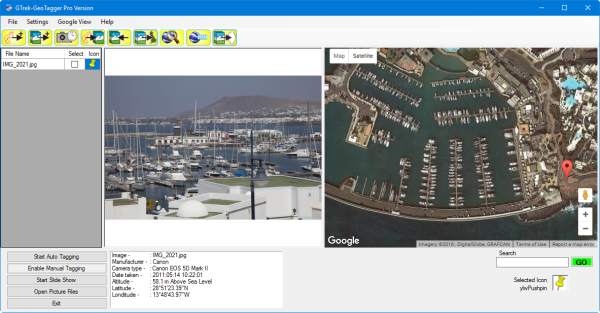 GTrek II supplies the GPS data to add location information to your digital pictures (in EXIF 2.0 format or later). Works with any digital camera or camera phone. And the best part it's completely free !!! 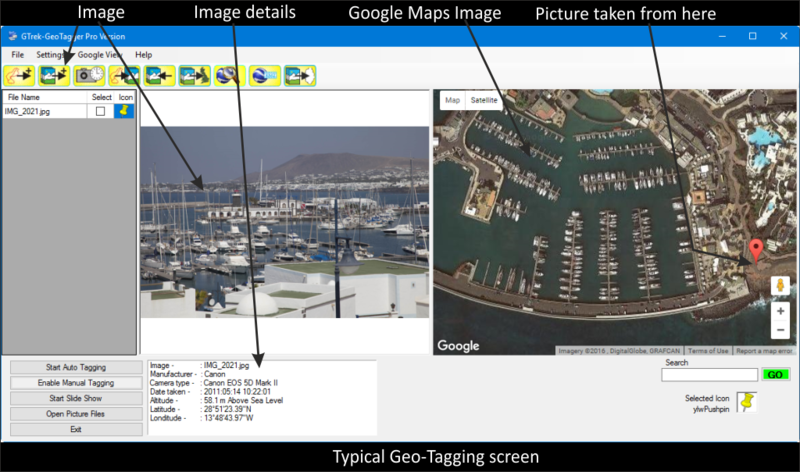 Export the GeoTagged information and route data to Google Earth. View the information instantly. And that's it, how easy can it be ? Click here to download an example in Google maps or here for Google Earth. If you don't already have google Earth click here and dowload the free version.